Lena Hill has been appointed interim chief diversity officer and associate vice president, and Monique DiCarlo has been appointed Title IX coordinator, University of Iowa President J. Bruce Harreld announced. DiCarlo will begin her new role July 25, and Hill will begin Aug. 1, pending approval by the Board of Regents, State of Iowa. 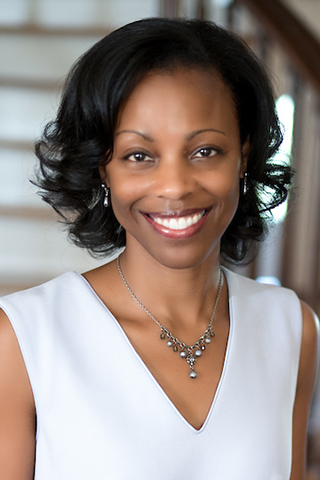 Georgina Dodge—the current chief diversity officer, associate vice president, and Title IX coordinator—recently accepted a position as associate provost for diversity, equity, and inclusion at Bucknell University after seven years at the UI. Her last day is July 24. Hill, senior associate to the president and associate professor of English and African American studies, serves on numerous university committees and leads faculty-engagement opportunities with the president. 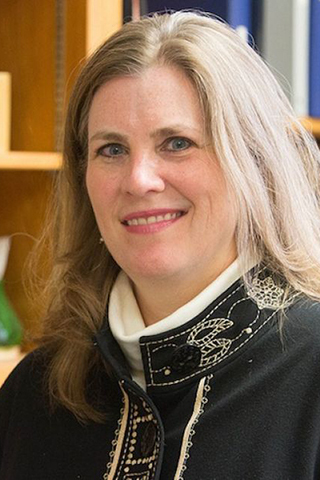 She is a recipient of the James N. Murray Faculty Award. DiCarlo served as an adjunct faculty member in the UI School of Social Work for 10 years and has worked for more than 20 years in roles addressing gender-based discrimination. She joined the UI in 1994 as director of the Women’s Resource and Action Center (WRAC), a position she held until 2009 when she became the UI’s sexual misconduct response coordinator. Nationally regarded as an expert on Ralph Ellison and his canonical novel Invisible Man, Hill’s scholarship focuses on African American literature and visual culture. Hill co-organized “Iowa and Invisible Man: Making Blackness Visible” and “Fields of Opportunity: UI’s Black Migration Stories,” two multimedia and multidisciplinary projects examining the African American experience at the UI. In 2016, UI press published Invisible Hawkeyes: African Americans at the University of Iowa During the Long Civil Rights Era, which she co-edited. Hill came to the UI in 2006 and received tenure in 2013. A reception honoring Georgina Dodge and thanking her for her service to the University of Iowa will be held from 4:30 to 6:30 p.m. Thursday, July 20, in the rotunda of the Levitt Center for University Advancement, 1 W. Park Road. The reception is open to the public. As part of her interim responsibilities, Hill will assist in a campuswide assessment of diversity initiatives to ensure that candidates for the permanent position meet the unique needs of UI programing. University administration anticipates initiating an open search after this assessment in late fall 2017 or early spring 2018. DiCarlo began her career in social work in 1985 as a crisis intervention advocate for Catholic Social Services. In 1986, she became a social worker for the Domestic Violence Advocacy Program in Davenport, Iowa, where she worked for seven years and became program director in 1989. During her 15 years as director of WRAC, DiCarlo initiated several programs, including the WRACtivists; Iowa NEW Leadership, a program encouraging women to run for public office; and the Men’s Anti-Violence Council. In 2006, 2011, and 2014, DiCarlo was awarded a Department of Justice Office on Violence Against Women grant, bringing close to $1 million to the UI to address gender-based violence. In 2010, DiCarlo received the UI’s Jean Y. Jew Women’s Rights Award. DiCarlo will continue to serve as sexual misconduct response coordinator in addition to Title IX coordinator and will continue to work with the two other deputy Title IX coordinators, Director of Equal Opportunity and Diversity Jennifer Modestou and Associate Athletics Director Lyla Clerry.